I know there is lewdgamer for the latter but updates on that site are not as frequent as other sites so a lot of stuff likely falls through the cracks. Additionally, there is romhacking.net for mods, rom hacks, or fan translations, but I feel like a lot of stuff could fall through the cracks as there as well. Additionally, I tend to frequently visit oprainfall.com but they tend to have a lower output of gaming related news than other sites and will be a day later than competition. However, they do tend to still have some stuff not covered by the other sites mentioned since they have a more broad focus for niche titles rather than strictly Japanese. Anyway, I am open to suggestions for additional sources (although it would be best not to bother recommending any mainstream sources like IGN, Kotaku, Polygon, and Destructoid or any GamerGate pandering sources like Niche Gamer and One Angry Gamer since I have a policy against supporting those sites). Another clarification is that the term “JRPG” refers to RPGs designed in a traditionally Japanese style, not simply RPGs made in Japan. As such, games like the Dark Souls series are not going to be talked about in JRPG Update, while games like Cosmic Star Heroine or Shiness: The Lightning Kingdom will be. Of course, there will be cases where the lines are blurred so I will try to keep an emphasis on who these games will appeal to. Anyway, here are a few restrictions that I am having on games being covered to avoid having the list becoming too bloated. The first rule is, no RPG Maker games. Steam is becoming infamous for being cluttered with large amounts of several interchangeable “retro throwbacks” made in RPG Maker. While there are naturally going to be some that are better than others, I am still excluding everything since the types of games being made with the engine are either poorly made first attempts at a game that should not have been commercially released (also note that I may be reviewing one of these fairly soon, how fun), or are games that are made by a professional team that are generally well made, but are released so frequently that they all look interchangeable and bloat up the list. For this same reason, I am not counting Mobile JRPG releases by Kemco (and while I also will not focus too heavily on Mobile games in general). Lastly, the end of each update will feature a list of every JRPG released this year in either North America or the PAL regions. The dates listed are the North American release dates, but if the European release date is significantly further away, there will be a mention. The release dates are listed mostly according to what their GameFAQs entry says. I cannot vouch for accuracy 100% of the time because of this, but it generally seems correct most of the time, and it would take a lot longer to individually scour the internet for all of them, as I am only one person.Anyway, let us begin with the releases. Since the last update, we have seen the release of Knights of Galiveth (PC), The Caligula Effect (Vita) The Legend of Heroes: Trails in the Sky the 3rd (PC), and Dead Cells (PC). Additionally, I also discovered four other indie games on Steam that also qualify for this list that came out prior to April 24th. Those games are Weapon Shop Fantasy, Xenon Valkyrie, Trapper Knight, Sharpshooter Princess, and Sonny. NieR Automata sells over 500,000 units in Japan and Asia alone, has DLC costumes released for Gravity Rush 2, and has released a DLC update. Tohou Genso Wanderer Reloaded demo has been released in Japan. This demo contains the entire main storyline of the game, but said storyline only makes up about 1/5th of the content. Ys VIII has completed development in Japan and has gone gold. Bravely Second has sold over 700,000 copies worldwide. Dragon Quest XI details Skill Panel and Restoration systems. The latter allows you to reload previous sections of the game with your current levels, money, items, etc. The zone and link system is also detailed, as is the monster mount system. In other Dragon Quest related news, Japan gets a limited edition Metal Slime themed 3DS and a Loto themed PS4, a two day Dragon Quest Summer Festival is set for August 5th and 6th in Japan, and the NES version of Dragon Quest 1 (aka Dragon Warrior) receives a hack to update the spell names to follow the recent English localization naming schemes. Radiant Historia: Perfect Chronology details the Alistel and Granorg characters, the Forgia, Celestia, and Cygnus characters. the subhistory characters are given an introduction trailer. The Granorg characters apparently had a trailer as well, but it seems to have been taken down. Since the original Radiant Historia was a game I actually have played and beaten, Perfect Chronology definitely gets my endorsement. Final Fantasy 1 also gets a fan mod called Final Fantasy Redux that changes the gameplay to coincide more with later entries, updates the graphics, and fixes bugs. Sword Art Online: Hollow Realization dlc Chapter I: Explorer of Illusory Mists is releasing May 16th in North America and Europe. A survival based RPG called Zanki Zero by Spike Chunsoft, the developers of Zero Escape, Danganronpa, and Conception II, has been announced, is given a first look, and a teaser website. Disgaea 5 Complete gets its second character trailer. Code Vein has its character customization and fields detailed, and gets a debut trailer. Utawarerumono: Mask of Deception has trailers for the character Nekone and its world, and the sequel, Mask of Truth, has its box art revealed. Omega Labyrinth Z gives details on the character Yumi Amano, the Berona GPS, the in-dungeon shop, the mics (which gets its own sample trailer), and the hot springs. An Atelier series 20th anniversary website has been opened up revealing plans for the series 20th anniversary. Akiba’s Beat gets a character trailer, a maid trailer, and a Haiku contest with a copy of the special NEET edition as the prize held by Gematsu. Nights of Azure 2 gives details on two new characters. The Persona 5 director thanks western fans. Persona 5 also gets a vinyl soundtrack release, and the Persona concert has its website up now. Romancing SaGa 2 sells over 200,000 on Vita. New Mega Man Starforce figure set released. Yeah, this is the height of Mega Man announcements recently. Thanks Capcom. A text speed improvement mod released for Glory of Heracles IV (Super Famicom). There are rumors of a Mario and Rabbids crossover RPG for the Switch in August or September. Seiken Detsentsu Collection shows videos of screen switch mode, quick saves, and music mode. God Wars: Future Past releases its sixth trailer. Operation Babel: New Tokyo Legacy releases a character trailer. 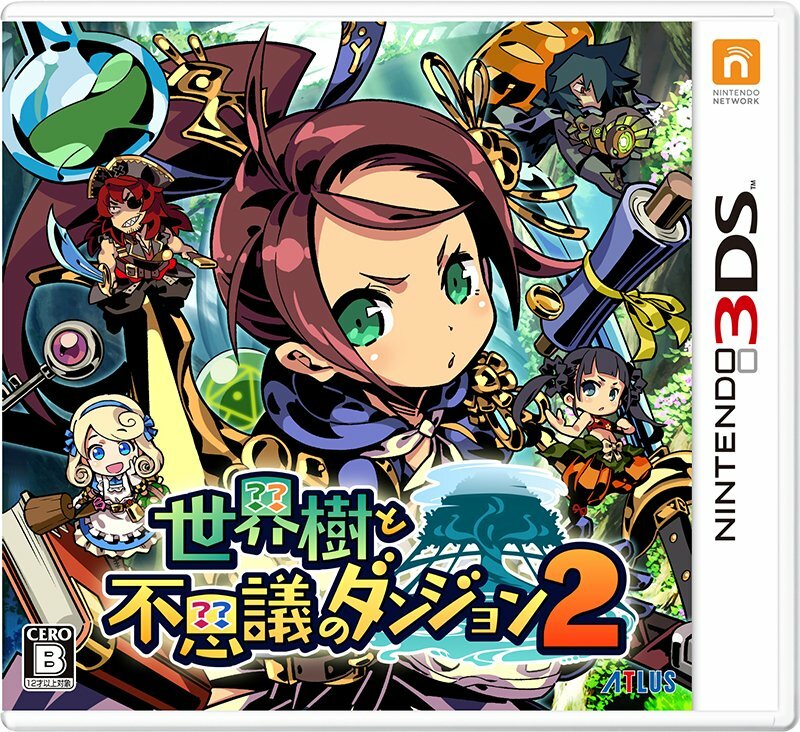 Etrian Mystery Dungeon 2 Japanese box art revealed. Hakinowa has gameplay details revealed, and a theme song sample video. Dark Rose Valkyrie has a limited edition, an interview, screenshots, and its opening movie revealed. Ever Oasis has an introduction trailer, and a field introduction trailer. The Legend of Heroes: Trails of Cold Steel III is set for release on September 28th in Japan, and details some of its characters. Fire Emblem Echoes details its planned DLC. Banner Saga 3 pledge manager now available for backer exclusive pre order items. The Alliance Alive details three new characters. A new Tales game is coming to the Switch in March 2018. And last but now least, RPG Limit Break, a speed running event on Twitch for RPGs, starts later today and lists until May 19th. This event is intended to raise money for the National Alliance on Mental Illness (NAMI). Anyway, here is the current release calendar.